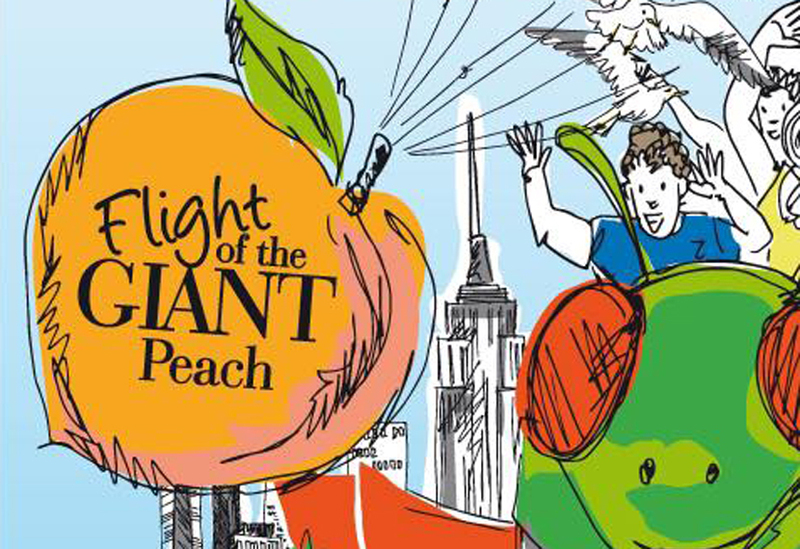 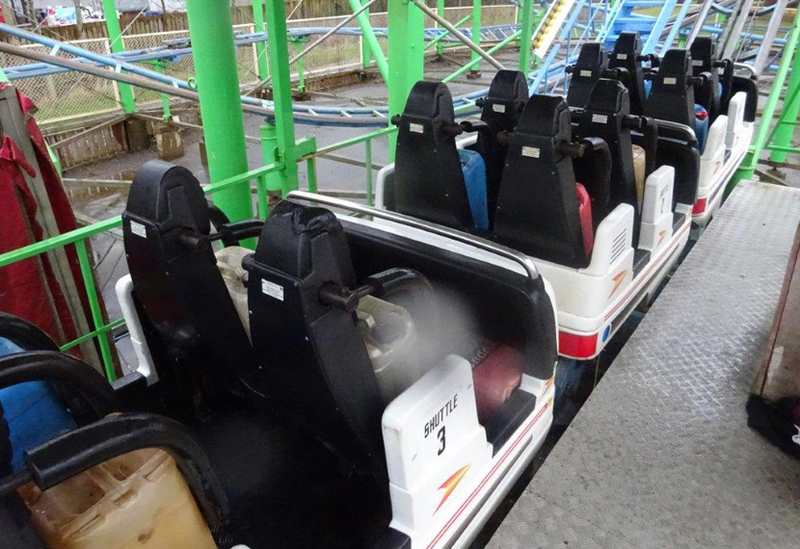 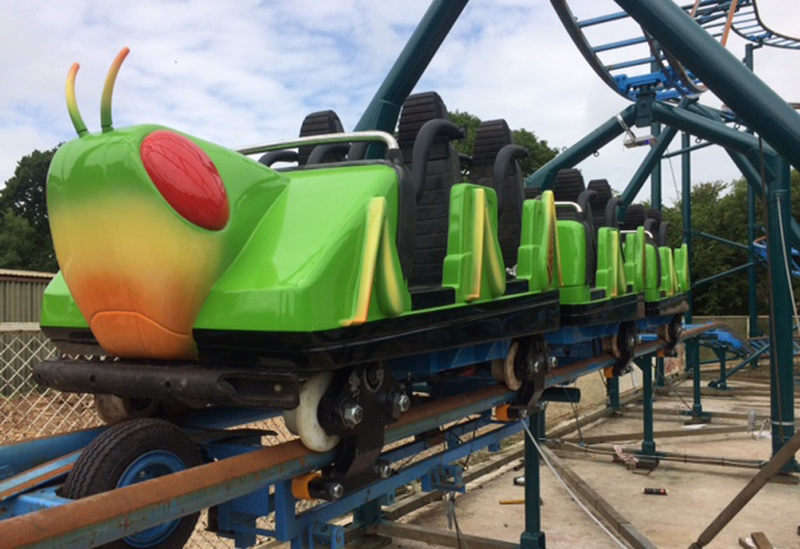 The refurbishment and re-theming of these two trains provided a cost-effective way for Oakwood to kit out their brand new ‘Flight of the Giant Peach’ children’s ride. 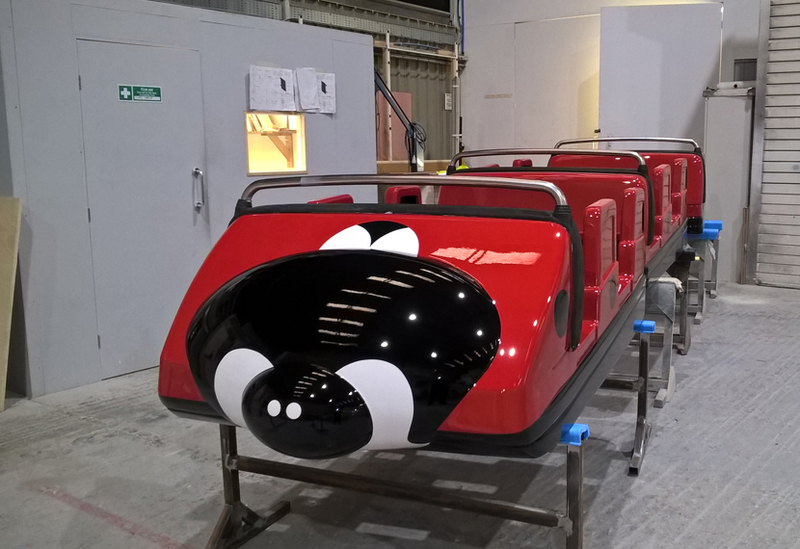 We were provided with basic sketches of both trains – a grasshopper and a ladybird – and worked with FPP to develop the child-friendly artwork and 3D visual files for each character. 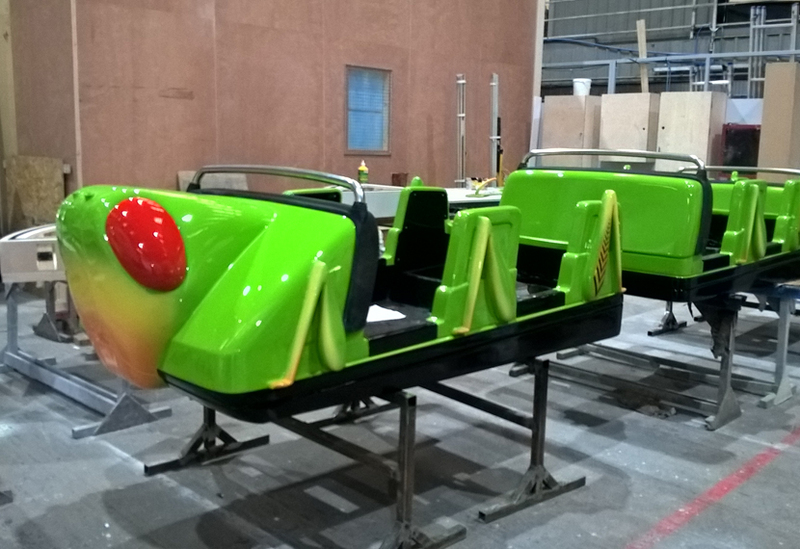 Our team fully stripped each train, removing any theming, lighting and wiring from the previous iteration. 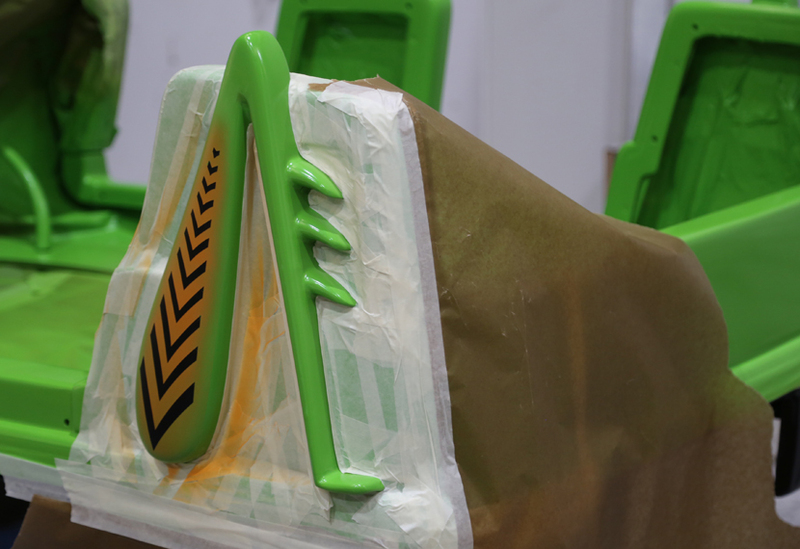 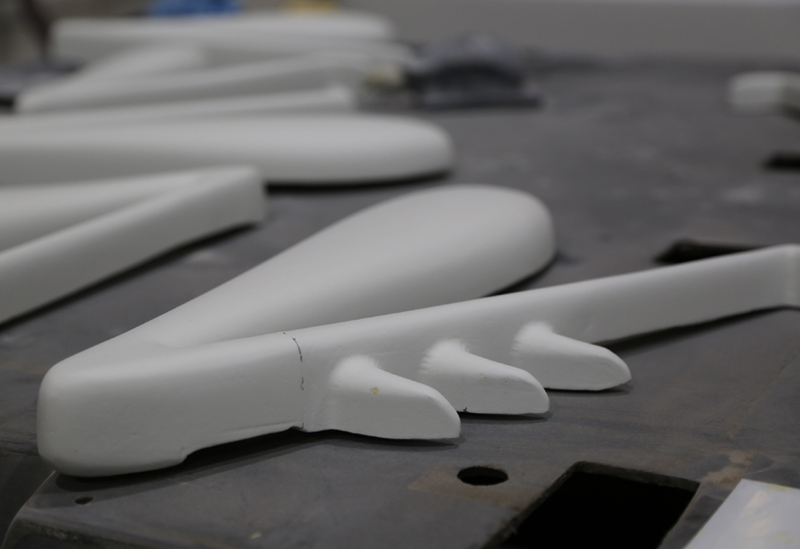 Apertures were cut for the attachment of the reshaped head fairings while our CNC facilities were used to create the moulds for both train heads, along with the fourteen grasshopper legs. 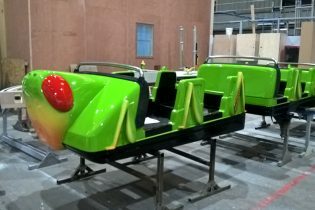 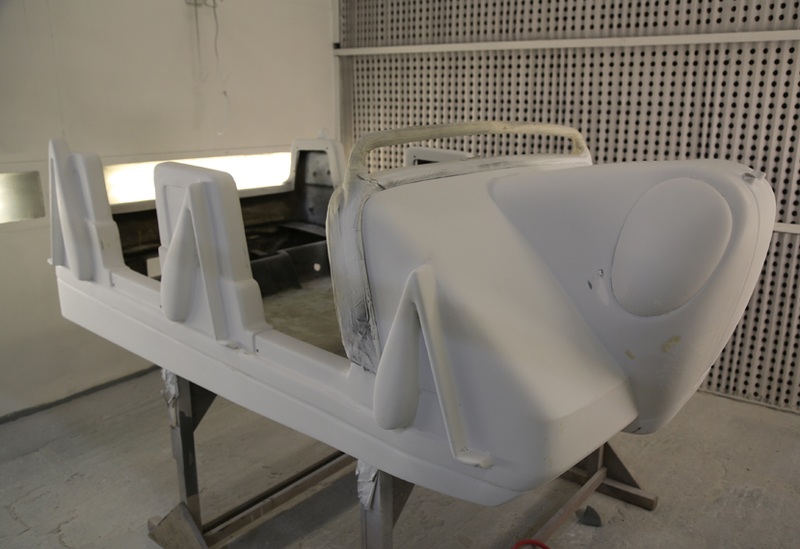 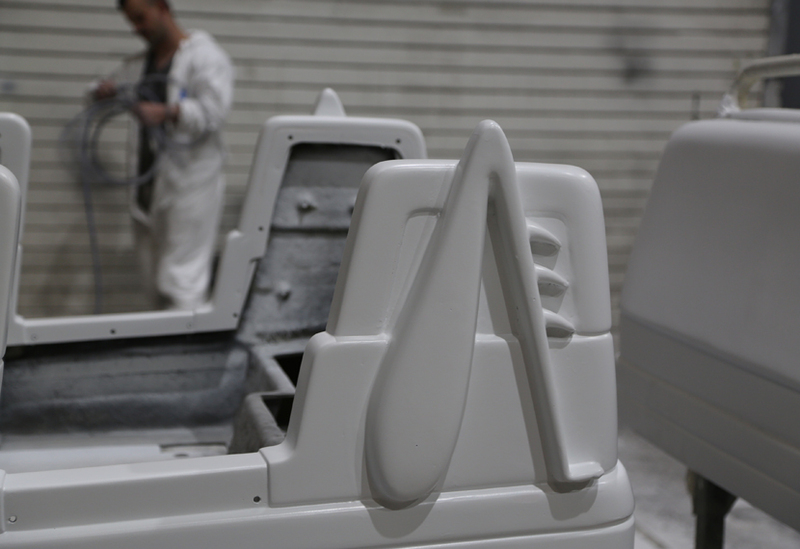 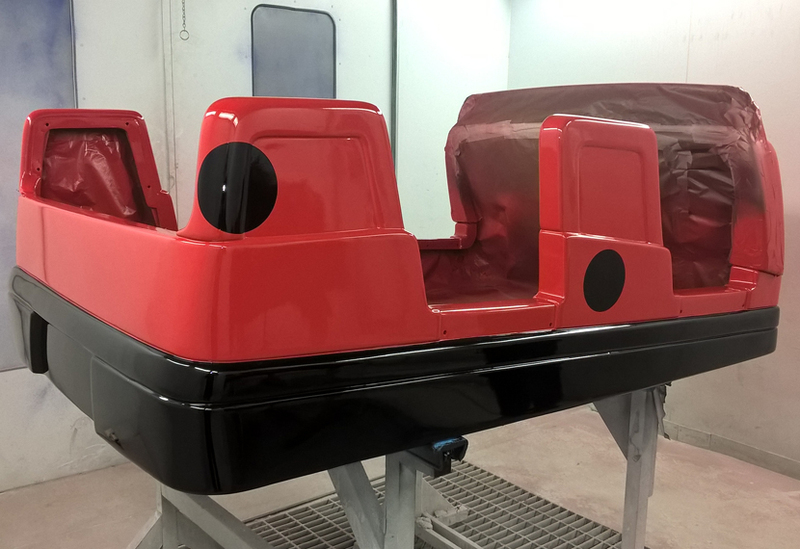 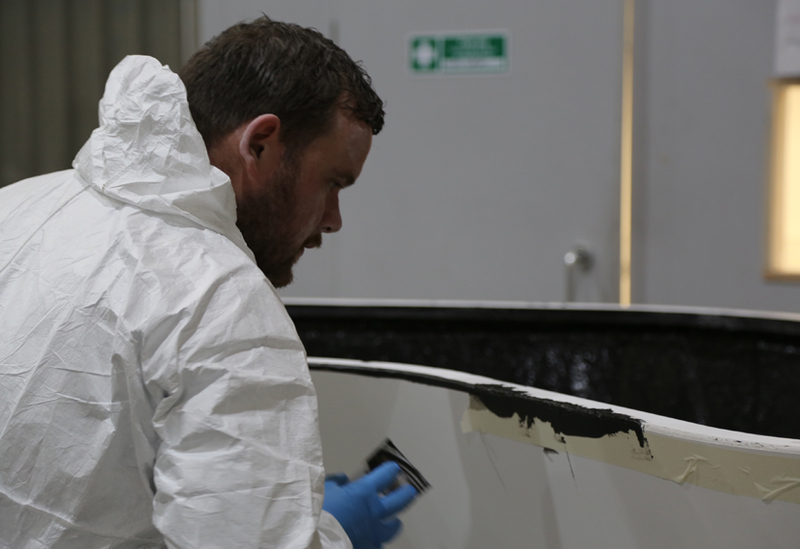 All six cars were given a high-quality paint finish before drying in the dust-free and temperature controlled environment of our spraybake booths. 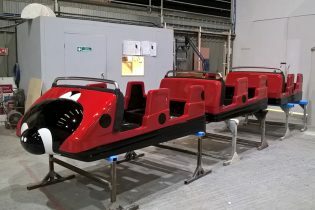 Our knowledge of ride systems and the importance of safety, weight and aerodynamics informed the design and renovation of both trains, our specialist engineer working with the client to ensure all work kept within the limitations of the existing ride system.